Mexican presidential elections are eight months away. 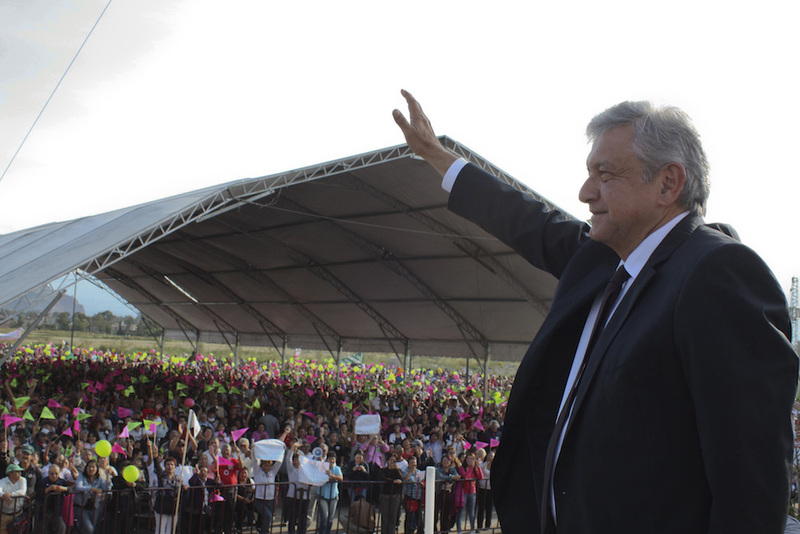 Today, polls are showing Lopez Obrador, known as AMLO, substantially ahead of all others, with former National Action Party leader Margarita Zavala running second. While some analysts say Mexico will never elect a leftist leader, Donald Trump is single-handedly changing that calculation. If AMLO wins, all bets are off. It’s hard to overstate how damaging it would be to have antagonistic presidents on both sides of the Rio Grande. It’s a dynamic we haven’t seen in decades and one that would be quickly exploited by America’s rivals. It would also cast into doubt the strategically brilliant play that has been 25 years in the making: creating a globally competitive powerhouse by integrating North America’s economies. But the importance of a strong partnership with Mexico isn’t just about the border or even the health of our increasingly integrated economies. It is also about the impressive security cooperation between our nations. High levels of intelligence sharing have allowed for strong cooperation between our anti-narcotics and anti-terrorism forces. As it stands, Mexico actively pursues and interdicts threats to US security before they reach our borders, and rarely hesitates to extradite them to face justice in our court system. Mexico also stops tens of thousands of Central American migrants on its own southern border with Guatemala. These policies depend on the continued goodwill between our countries. That goodwill is now in acute danger. In recent weeks, we’ve seen Trump threaten to withdraw from NAFTA using increasingly harsh language. We’ve seen him threaten to shut down the government as leverage to get funding for a border wall. And, once a disastrous hurricane season made that threat untenable, we saw the President use the fate of some 800,000 Dreamers — close to 80% of whom are from Mexico — as a bargaining chip for his beloved wall and a newfound hardening of immigration restrictions. Continue reading the full article on CNN.